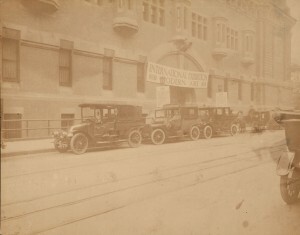 The International Exhibition of Modern Art (the Armory Show) opened on February 17, 1913 at New York City’s Sixty-ninth Regiment Armory on Lexington Avenue between East Twenty-fifth and Twenty-sixth streets, to a curious public that was unfamiliar with the avant-garde European art as well as the work of the young American artists it was about to see. Criticism, both for and against modern art, was impassioned and it seemed as if everyone from the most seasoned collector or established artist to the uninitiated person on the street had an opinion. Now considered one of the most important art exhibitions ever mounted in the United States, approximately 87,000 people attended the Armory Show during the month it was open in New York. Inside, the cavernous space of the Armory was divided into eighteen connected octagonal galleries with burlap covered walls trimmed with garlands. Streamers were hung from the ceiling, making the exhibition spaces more intimate. The visitor was greeted by an entry gallery showcasing American sculpture and American decorative art and four aisles led from the front galleries to the rear — American art was shown in the side galleries while most of the Europeans were exhibited in the central and back galleries. Because the original purpose of the Armory Show was to offer progressive American artists an opportunity to exhibit, there were as many Americans as Europeans in the exhibition. However, it was the shocking art of the contemporary Europeans that created the most attention and controversy. The Armory Show is remembered for this, but it has been forgotten that the organizers intended to demonstrate that “modern” art movements going back to the mid-nineteenth century were considered scandalous when they were first seen as well. Hence, they exhibited such mid-nineteenth-century artists as Jean-Auguste-Domonique Ingres and Honoré Daumier, and revered painters from later in the century, including Camille Pissaro, Edouard Manet, and Pierre Cécile Puvis de Chavannes. By 1913, all of these artists were considered masters to be respected rather than ridiculed, as many of them were early in their careers. 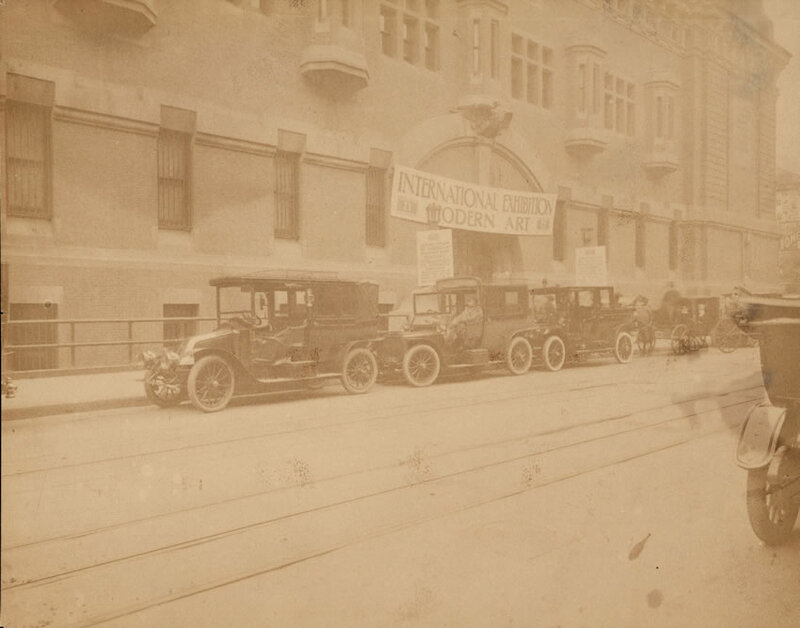 Eventually the Armory Show traveled to Chicago and then to Boston. Chicago saw 187,000 visitors, and a disappointing 14,000 went to the Armory Show in Boston. Of the approximately 1400 works that were in the exhibition, about 174 were sold.